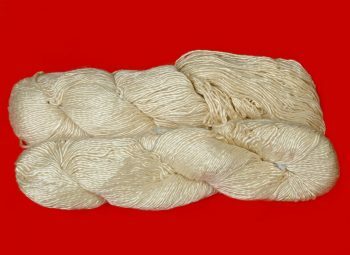 Hand spun from the throwster silk fiber. 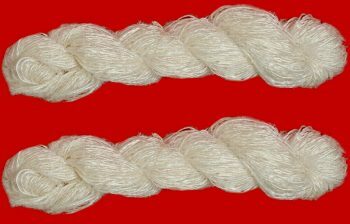 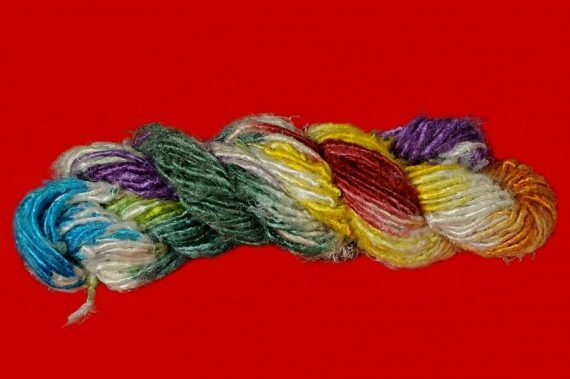 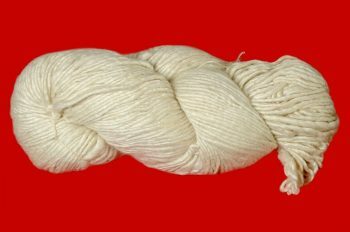 The Throwster Silk fiber is derived from the silk waste during the process of yarn manufacturing. 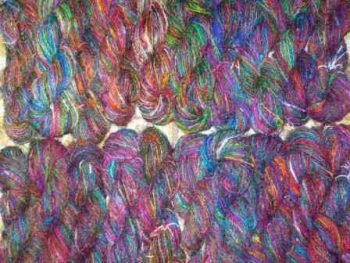 A very shiny yarn and gives a lot of lustre after it has been dyed.